Elizaveta Mironova has written a wonderful review of Osheen Harruthoonyan, A Circle of Bluebirds, and Katherine Tzu-lan Mann, Overabundance. Link to review here or view below. Lonsdale Gallery takes the visitors on an interesting tour with its two November shows: A Circle of Bluebirds by Osheen Harruthoonyan and Overabundance by Katherine Tzu-Lan Mann. 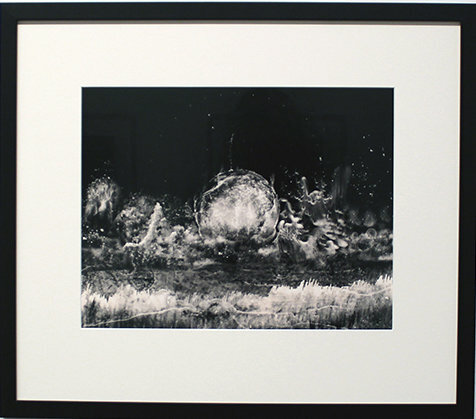 In the main gallery there is a dream like atmosphere created by Harruthoonyan’s black and white photographs that combine elements of the unexplored galaxy with common grass fields. Harruthoonyan creates an interesting framework, in which he juxtaposes the infinite universe with the insubstantial size of a human being – analyzing nature through the human eye. 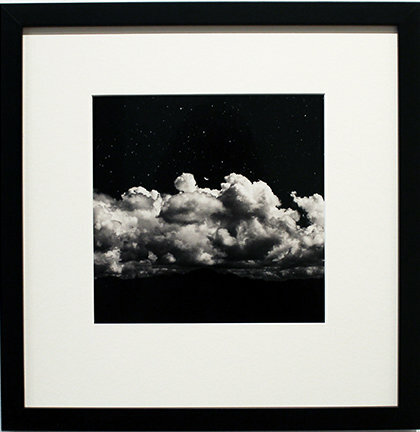 In Black Mountain, there is a familiar natural formation, a mountain, paired with voluminous clouds and a densely charged starry sky, a magnificent view that somehow is also disturbing. All the photographs from the Circle of Bluebirds series make the viewer reconsider the peaceful but also powerful nature. In This Dream She is Terrified by the Pacific Ocean is another spectacular depiction of the colossal beauty of nature. The foreground looks like a field of grass calmly bending in a wind and merging into the middle ground of huge waves and a spherical body of water. It is not what you see but the feeling that it creates that clears your mind – like a powerful meditation. Harruthoonyan based his photographs on observations of the cosmos and sky in different parts of the world, including Europe, the Middle East, and Canada, and used a layered technique to construct intricate narratives of time and history. Walking up the stairs, leaving the romantic, layered photographs behind an explosion of color greets the visitor. 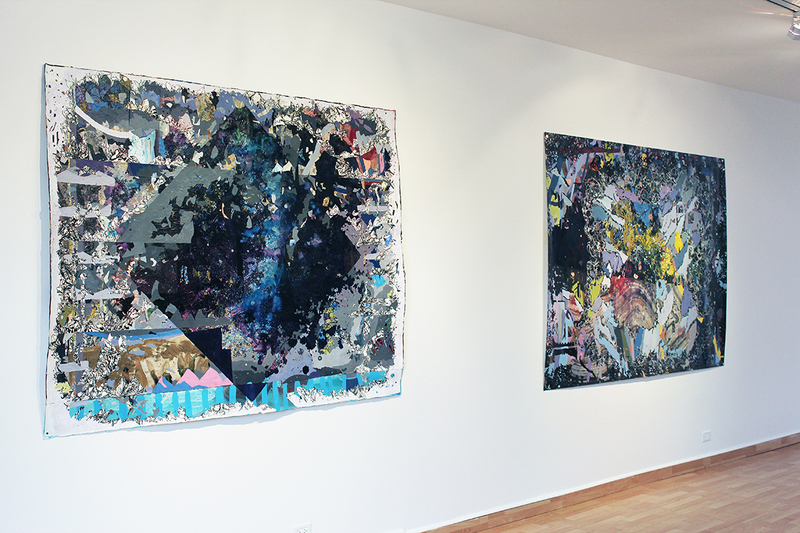 Kathrine Tzu-Lan Mann’s multi-layered abstract paintings use organic motives in chaotic compositions. Her electric works were inspired by decorative forms around her, from Beijing opera costumes to sequin patterns. Follow combines black and white leaf elements with large spurs of yellow, blue and green paint. Taking chances and allowing accidents to happen seems to be a central element of her works. 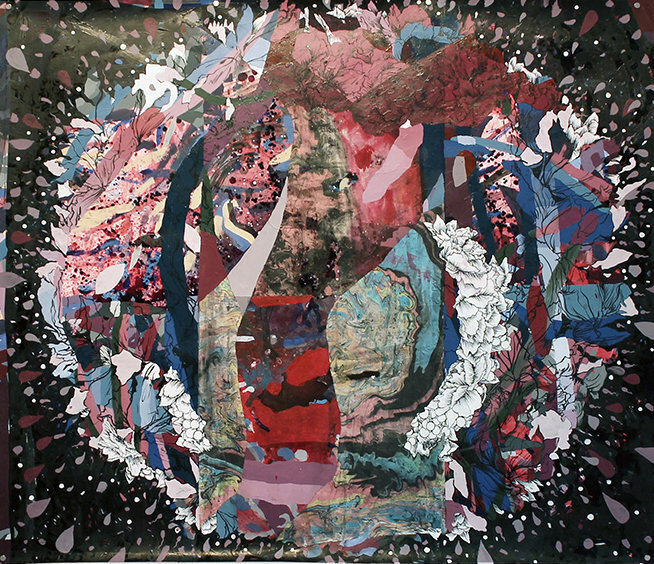 She lets the viewer imagine the narratives and think about what each color could represent. Her technique is interesting and unique; she starts with underlining ink drawings then combines watery and thick paint – the outcome is very eye catching. It is hard to recognize a specific object, as Mann mainly reflects on the emotional discoveries that prompted by various decorative items. Visiting these shows at Lonsdale was an amazing and rich experience. Harruthoonyan takes the visitor to a world of dream, surrounded by the cosmos, relaxing the mind. Then upstairs Mann’s exhibition greets the viewer with a world of ecstatic colors that energizes and activates the imagination. The two exhibitions greatly complement each other. *Exhibition information: Osheen Harruthoonyan: A Circle of Birds / Katherine Tzu-Lan Mann: Overabundance, October 15 – November 13, 2016, Lonsdale Gallery, 410 Spadina Road, Toronto. 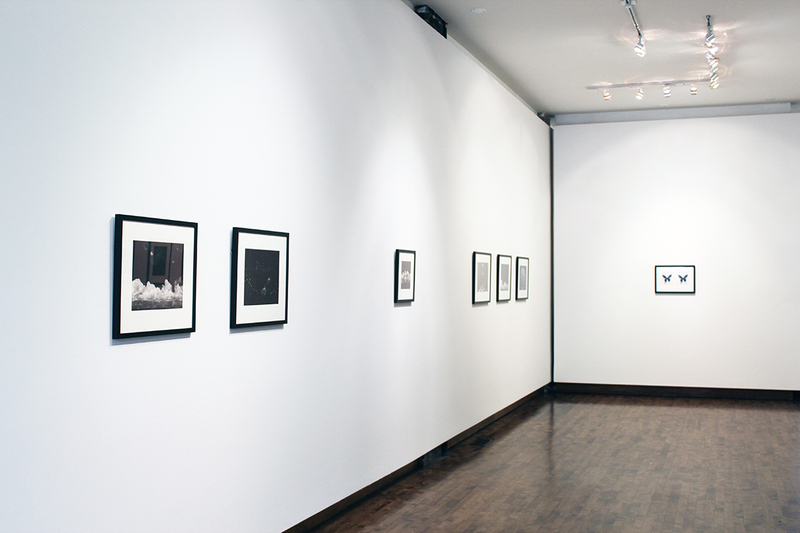 Gallery hours: Wed – Sun, 11 – 5 pm.